Speak in Complete Sentences Day, World No Tobacco Day, National Macaroon Day, National Meditation Day, National Save Your Hearing Day, Hug Your Cat Day, What You Think Upon Grows Day. 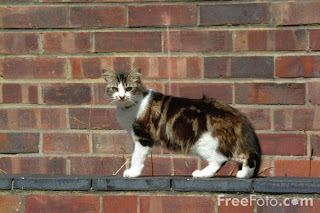 -- With over 90 million pet cats in this country, it's clear: America cherishes its feline companions. In Happy Cat, Happy You, Moore, a bestselling author of 17 pet books and national spokesperson on pet issues, covers it all — bath time, mealtime, quiet time, and play time. All tips are simple and quick to implement; collectively, they add up to a lot of TLC! The book features a compact, inviting format and is filled with quotes, quick insights, and colorful call-out boxes. Happy Cat, Happy You is a creative, low-fuss approach to caring for America's most popular pet — and a must-have for the busy owner. -- This important new series introduces children to the facts about those drugs of which they are most likely to be aware. The books aim to teach children not to use and abuse drugs by providing lots of strategies to help them avoid becoming involved in drug-taking. Learn To Say No aims to empower children to be able to say no to drugs and to feel that they have made the right decision. 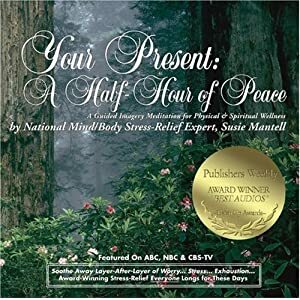 -- Mantell has produced an excellent program that effectively uses her voice, pacing, music to help the audience achieve a state of relaxation. Further, she takes the listeners deeper into the process to show them how they can achieve a more positive and healthy life as they move out of meditation and into the world.